Claire was a voracious reader as a child, devouring anything by Enid Blyton as well as series such as Nancy Drew, Trixie Belden, The Baby-sitters Club and Sweet Valley High. Then one school holidays when she'd run out of books to read, her mum handed her 'Hot Ice' by Nora Roberts and she instantly fell in love with romance novels. The love of reading soon turned to a love of writing and Claire struggled to keep within the 1500 word limit set by her teachers for any creative writing assignments. When she finally decided to become serious about her stories, she joined Romance Writers of Australia, found her wonderful critique group and hasn't looked back. When Claire's not reading or writing she can be found in the garden attempting to grow vegetables, or racing around a vintage motocross track. If she can convince anyone to play with her, she also enjoy cards and board games. 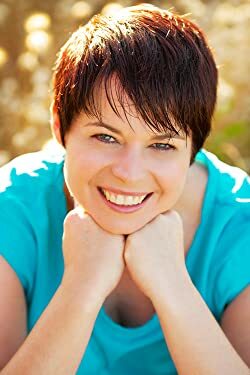 Claire lives in Western Australia, just south of Perth, with her husband, who loves even her most annoying quirks, and her two grubby, but adorable Australian bulldogs. Please enter your email address and click the Follow button to follow Claire Boston!